First, another thanks to Mae- I only have these to talk about because of her! 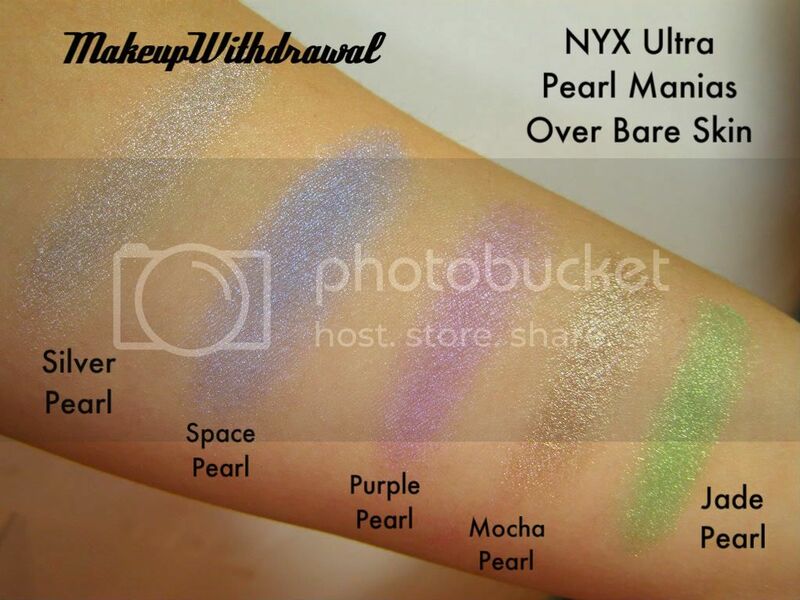 Ultra Pearl Manias are another kind of loose shadows that NYX Makes. These however, are more closely related to mica samples that you get from mineral makeup companies than proper loose shadows. The interesting thing about them is that the finishes vary from shade to shade on these Pearl Manias, some being downright metallic while others being shimmer with a more subtle sheen. You'll see what I mean. Much prettier, right? Like I said before, the finishes are a bit different. 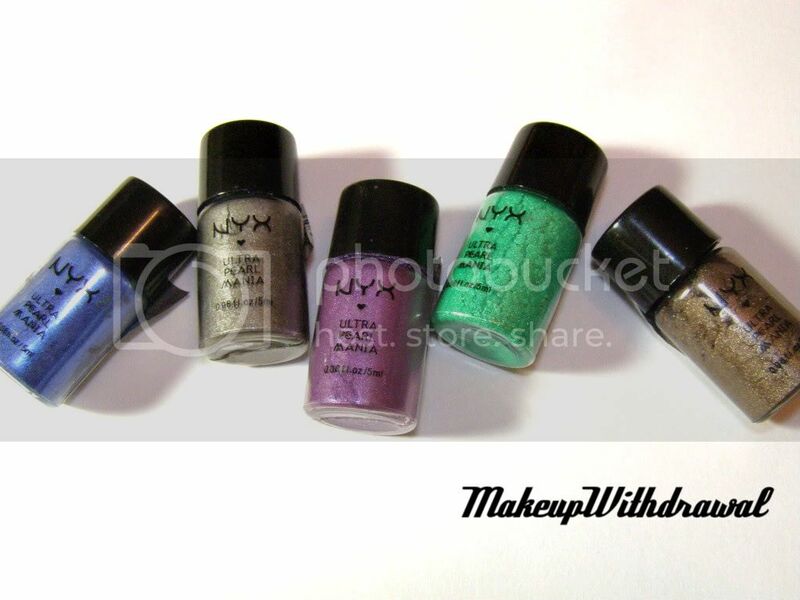 Mocha and Silver are definitely metallic, where as the others have various degrees of shimmer. Space and Purple both have a bit of a blue under sheen to them and Jade is quite frosty. 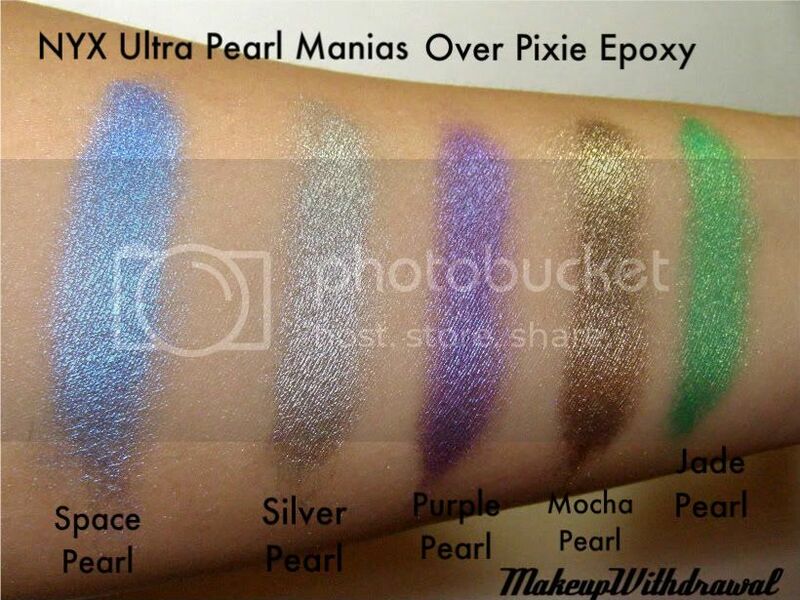 Now the neat thing about these Pearl Manias is that you're not just limited to using them as eyeshadow. I'll talk more about this later, but *ahem* use your imagination. Ah! I almost forgot the best part, these go for $2.50 per vial. Talk about cheap! Items shown were given to me as a gift, for my own use.